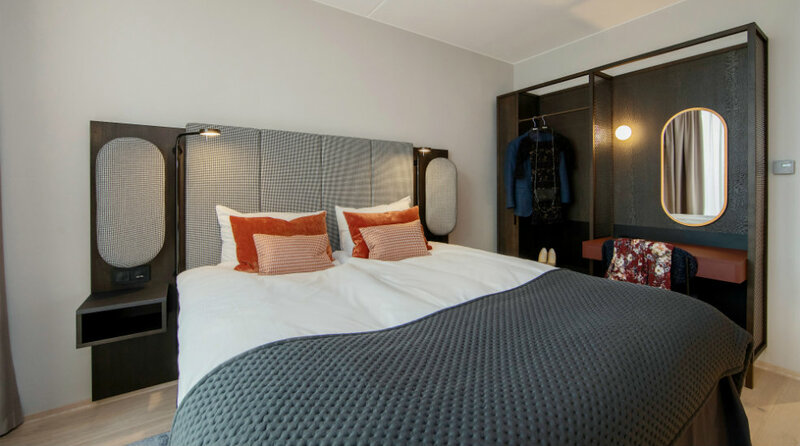 Do you want to stay in the centre of Bjørvika, Oslo's newest and most exciting district, less than 500 metres from Oslo S, at a brand new Clarion Hotel focusing on art, delicious food and fantastic hotel experiences? Then choose the Clarion Hotel Oslo next summer, 2019. Clarion Hotel Oslo really has reason to boast about its unique location. The hotel is being built in Oslo's newest and most attractive district, Bjørvika. With the Opera and the new Munch Museum – which opens its doors in 2020 – as its neighbour, close to Barcode and within walking distance of the Oslo S transport hub, you will not get closer to the city than this. You can come to Clarion Hotel Oslo for a big city weekend in Oslo as well as for a big conference or event. There are 255 rooms, spacious suites and conference facilities for 1200 people spread over 1500 square metres. The biggest hall is huge, with room for up to 400 people in cinema style setup. In addition to beautiful rooms and meeting rooms, we also offer a modern and well-equipped fitness room at the hotel. On street level you can enjoy the Kitchen & Table restaurant and bar concept, where the Swedish star chef Marcus Samuelsson has made dishes that are the perfect combination of American and local delicacies. In the summer months you can sit down in the outdoor seating area facing Dronning Eufemias gate. Kitchen & Table is also joined by Clarion Hotel's Living Room, a nice place to hang out or work, and Shutter Bar, filled with refreshing drinks. At Clarion Hotel, atmosphere, art and culture are always in focus, and this is also true at Clarion Hotel Oslo. This will be the city's new gallery, with a permanent art collection that is complemented by exhibitions and events, in close collaboration with Oslo's cultural institutions. There will also be art as part of the interior decoration. Look forward to world-class design and the latest art. Please contact Robert Holan, General Manager at Clarion Hotel Oslo, via email sales.cl.oslo@choice.no or by phone +47 93 03 56 56.